Step up and step down isolation transformer to convert the voltage between 480V and 400V. Three phase unit with 50 kVA power rating, primary and secondary windings are separated by aluminium/ copper shield. Highly effective 45 KVA 3 phase isolation transformer that is 50Hz / 60Hz rated and superior quality, transform the voltage 415V to 208V, also 208V to 415V transformer is available, IP 24 protection grade of enclosure for protection. ATOSG-60KVA isolation transformers is 50/60 Hz rated, designed to step down 3 phase 400V AC to 3 phase 190V, step up 190V to 400V type is available, and come in a IP 24 enclosure for indoor use. 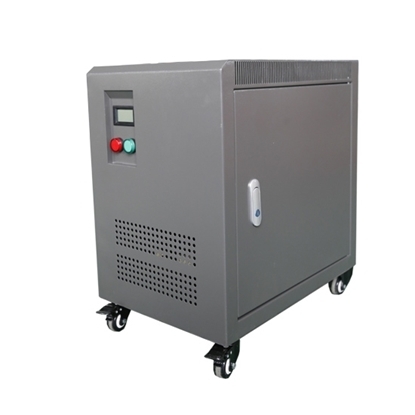 Cheap 50 kVA isolation transformer is available in the circuit of AC 50Hz/ 60Hz, it can step down 3 phase voltage 480V to 400V, step up 400V to 480V transformer is available, suitable for indoor applications. 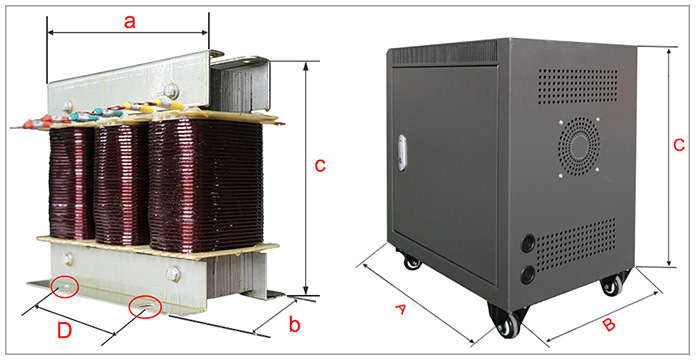 Specifically, there are three noise sources in the 3 phase isolation transformer including iron core, winding and cooler, which is the noise of no-load, load and cooling system. The reason of the iron core noise is that under the action of the iron core silicon steel sheet alternating magnetic field, slight change which is magnetostriction occurs. Magnetostriction causes the iron core to periodically vibrate with changes of the excitation frequency, which is caused by magnetostrictive deformation of the iron core, windings, oil tank and electromagnetic force within the magnetic shield. The reason for the vibration of the winding is that electromagnetic force is generated in the current winding, the leakage magnetic field can also make the structure vibrate. The reason of the electromagnetic noise is that the magnetic field induces the vibration of the iron core lamination along the longitudinal direction to generate noise, the vibration amplitude is related to the magnetic flux density of the core lamination and the magnetic properties of the iron core material, it has little relation with the load current. The electromagnetic force (and vibration amplitude) is proportional to the square of the current, and the emitted sound power is proportional to the square of the vibration amplitude. I need to convert an existing 415V 3 phase supply to a single phase 230V output efficiently. It needs to handle 40 kVA min. Can this transfomer do that?